“Investing in the 700MHz spectrum is like adding more lanes to a highway." Spark New Zealand has deployed 4G to its 150th mobile site over the 700MHz radio spectrum on its Hangatiki site, marking a key milestone for customers in the Waikato region where trials of the 700MHz spectrum began just over 12-months ago. Since trials started in Morrinsville in April last year 106 sites have been enabled with 4G on 700MHz throughout the Waikato - with the remaining 44 sites lighting up 4G across other parts of regional New Zealand. According to the telco, more than 60 percent of smartphones and a number of tablets available for customers to purchase on Spark’s mobile network are now compatible with the 700MHz spectrum. Furthermore, Spark New Zealand says it has invested in four lots of the 700MHz spectrum last year - more than any other provider, in order to roll out 4G throughout the country over the next three years. “The more spectrum a provider owns, the more capacity it has to carry data at faster speeds on the network, even at the busiest times,” says Colin Brown, General Manager of Networks, Spark Connect. “Investing in the 700MHz spectrum is like adding more lanes to a highway. We invested $158 million to secure four lanes of the highway – more than any other provider. Brown says access to fast mobile speeds will allow rural business to harness new technologies whether at the farm-gate, on the road or in the paddock. “It’s an exciting time for agribusiness customers who can take advantage of new technologies like Machine-to-Machine (M2M) communications to do things like monitor soil and rainfall levels or track herd movements,” he adds. 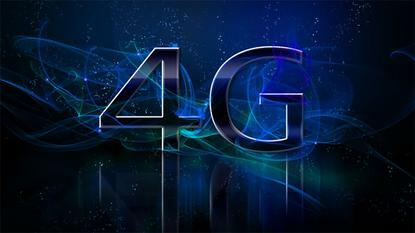 Brown says Spark New Zealand is “forging ahead” with its rollout of 4G on the 700MHz spectrum. Since January this year it has extended its 4G coverage over 700MHz to a number of new areas, including Alexandra, Bay of Plenty, Carterton, Inglewood, Waikanae and Whangaparaoa to name a few. Before July this year the telco plans to have 4G coverage live on the 700MHz spectrum in Palmerston North and will also continue to extend its coverage throughout Napier, Hastings, Taranaki and Timaru.